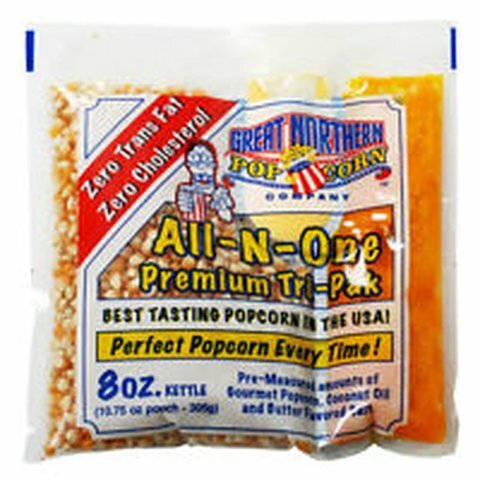 Delicious popcorn for up to 8 servings a bag. Pre-measured servings. Will come with paper bags for serving.